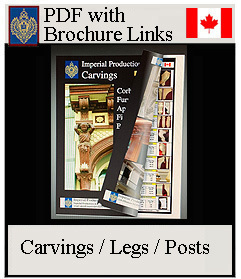 Imperial Productions offers the most extensive line of Corbels for Cabinetry, Kitchens, Bars and Building Exteriors. 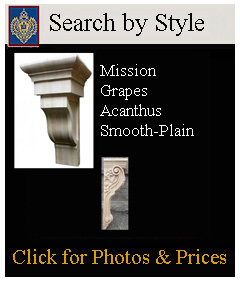 Styles from Plain Mission Style to Acanthus or Statuary Corbels. 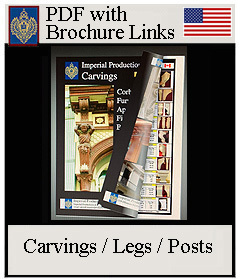 They can be custom made to your specifications. wood. 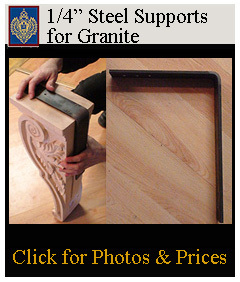 Although not load bearing corbels can be supported by metal brackets that carry loads on 1/4" steel. 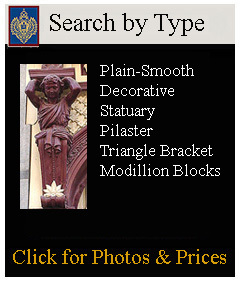 We offer custom sized steel brackets. 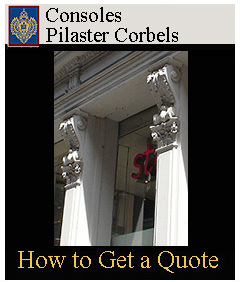 Corbels can be added to pilasters that flank doors and windows. 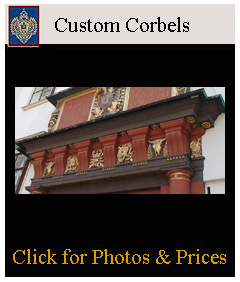 They add a romantic touch to any entrance way. 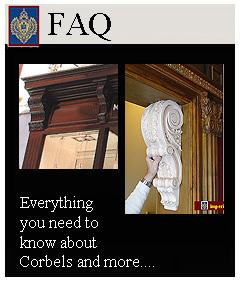 Corbels are for decorative purposes, however they give the illusion of support. 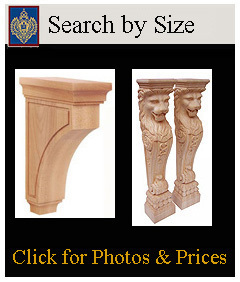 Always consider the golden rule of design when assessing the spacing of corbels and brackets.